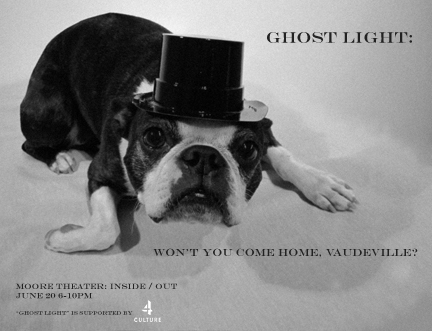 Ghost Light: A light on the stage placed on an empty stage at night to allow the ghosts of the theater to perform. 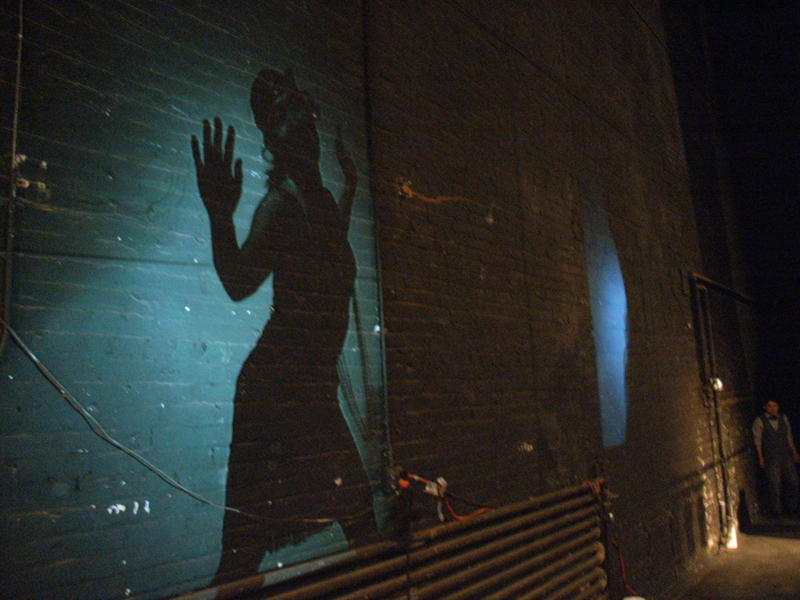 A single bulb is left on stage as a portal to a theater’s ghosts. When the light switches on, the movies of a flapper, a gorilla and monkey pair, and a piano player perform silently. When the light shuts off, the projections freeze, and the song Won’t you come home, Bill Bailey? comes to life by the piano player who leaps out of his projection into the stage area. The light turns on, and the cycle begins again.